"We take care of your staff & your company." Relocating your employees to another office or region can be a stressful time. We at Blatchford’s International are here to ensure your employee is provided with the best care to ensure there performance for your business is not affected. 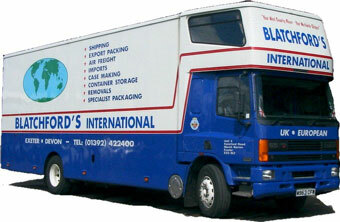 The Blatchford family have been moving families since 1932 and so we have plenty of experience to help your employee and your company. A family business that has the recourses to cope, but is small enough to care. 30-day credit facility allows for easy payment. One point of contact for you, and your employee. Our experienced removal estimator will visit your employee and will advise and guide them through the removal process to ensure their move goes smoothly. Comprehensive packing service is available to your employee. We provide full protection for your employee with our inclusive liability cover, providing peace of mind to all concerned.